Do you have an account with Indian Bank? Do you most often require transferring funds to other accounts? What is the best way to transfer funds to other accounts? Have you activated internet banking services for your account? If yes! You can transfer funds easily and within a few minutes to another account. 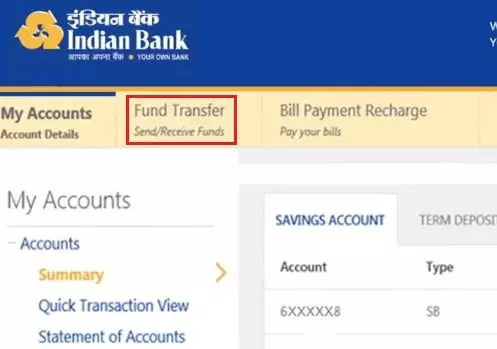 You can transfer funds to an account with Indian Bank and even with other banks. You need to follow a step-by-step procedure without any errors to transfer the fund from anywhere. Step 1: Visit the official website of Indian Bank and click on Internet Banking services. You need to enter the User ID, and Password for Internet banking received from the bank. 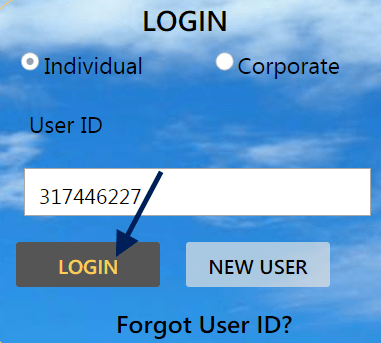 After entering the CIF Number and Password, you need to click on 'Login' button to proceed ahead. Step 2: Now, you will get access to your account via Internet Banking. Take a look on the left bar to find Fund Transfer and click on it. The screen will display several options of transferring fund to any account. Before you move ahead to transfer the amount, you need to add the beneficiary. Note: Account holders can transfer money via internet banking only to the added beneficiaries. Click on 'Add Beneficiary' button. You will get directed to a new page displaying a form. You need to fill up the form providing details of the beneficiary. Click on 'Add' button after entering the details. You will receive the OTP on your registered mobile number. Enter the five digit OTP in the provided space and click on ‘OK’ button to proceed ahead. Step 3: The next step is to click on 'To Non IB A/c' option under Fund Transfers. Step 4: You need to select your account number in 'From Account' and the added beneficiary's account number in 'To Account' option. Enter the fund amount you want to transfer to the beneficiary. Step 5: Now, enter the 'Transaction Password' and click on 'Submit' button. Step 6: You will receive the OTP on your registered mobile number. Enter the OTP in the provided space to confirm fund transfer. The screen will display the message about successful fund transfer to the beneficiary. You can access this service from anywhere and transfer funds to an account with any bank from any region.